It was my mistakes, I use the aerator power source for the bench drill and forgotten to switch it back to the aerator. 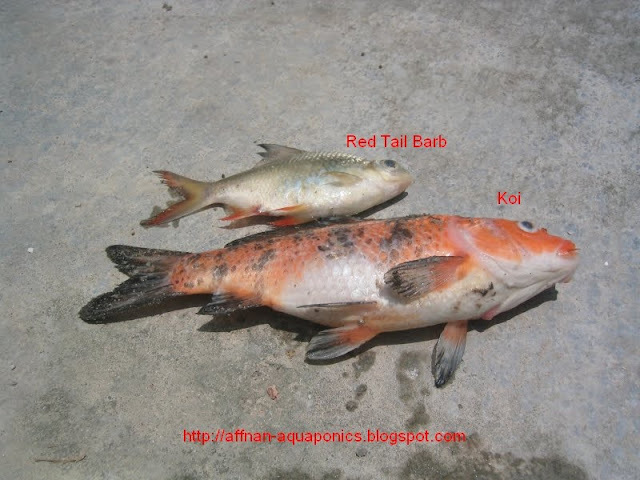 The result two dead fish, a Barb and a Koi. The Aerator only turn on at night with photo switch controlling it, and its power source was use by my bench drill during the day. I need to do some changes to the power source for the aerator.